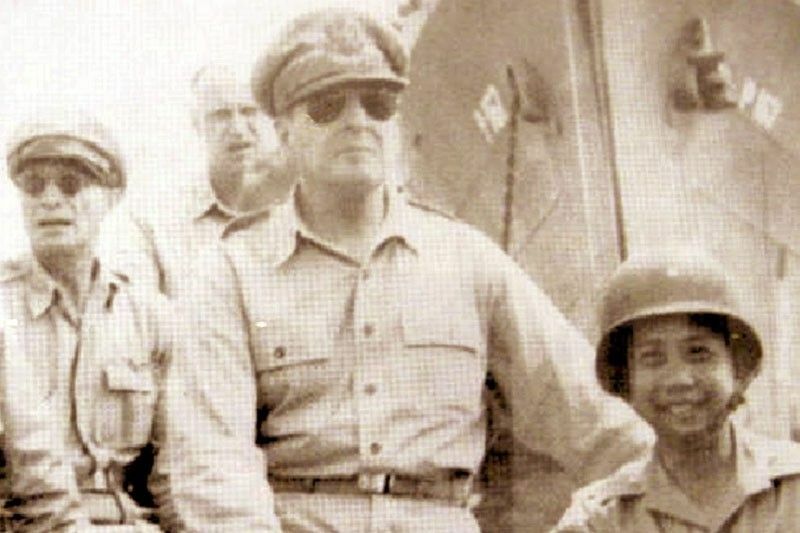 On Oct. 20, 1944, MacArthur did return, landing in Palo, Leyte starting the campaign for the recapture and liberation of the Philippines from Japanese occupation. 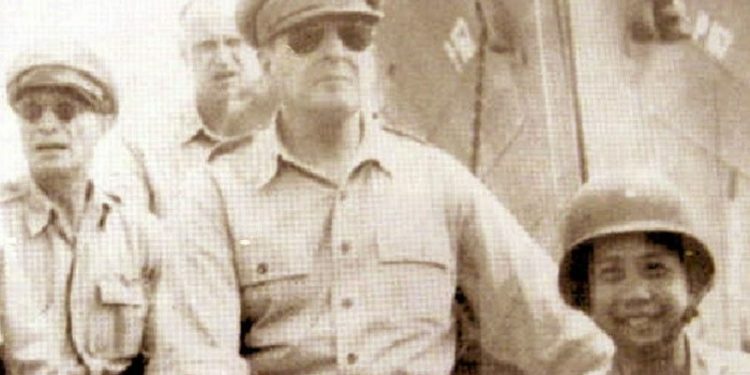 The photo of General Douglas MacArthur wading ashore in Palo, Leyte together with then president in-exile Sergio Osmena and my father, (who was MacArthur’s aide-de camp) is one of the most iconic of World War II, perhaps just next to the raising of the flag in Iwo Jima. The sculptural presentation of Iwo Jima photo is one of the most visited sites in Washington, D.C. The state of the sculptural tableau of the photo in Leyte is, however, far from iconic. Instead, one will find it to be ill-maintained, that it has become decrepit. Surely something as historic and well known as this event deserves a better fate. My American friend, Dennis Wright (a Clark resident) has secured support from the US-Philippines Society, the Veterans of Foreign Wars and the Douglas MacArthur Memorial (in Norfolk, Virginia) to make the Leyte memorial worthy of the historic event it is dedicated to. They have volunteered to lobby the American Battle Monuments Commission (ABMC), which is the responsible federal agency, to have the memorial administered and maintained. The ABMC is tasked with commemorating US Armed Force services through the erection and maintenance of memorials in the US and overseas. It currently administers, operates and maintains 26 American military cemeteries; 30 federal memorials, monuments and markers located in 17 foreign countries. The cemeteries and memorials commemorate the services of Americans and allies who served primarily in WWI and WWII, and are among the most beautiful and meticulously maintained shrines in the world. Currently, it administers three sites in the Philippines: Manila American Cemetery, Clark Veterans Cemetery and Cabanatuan POW Memorial Nueva Ecija. Those who have been to the sites will attest to the high aesthetic and conceptual standards from which the Leyte Memorial will benefit if placed under the ABMC. Getting this done will, however, require the Philippine side to agree to a bilateral ABMC Custodial Agreement modeled after those of the Clark and Cabanatuan memorials. I cannot see any downside to accepting this generous offer. Aside from its historical significance, the memorial will enhance the tourism potential of Leyte with the expected influx of visitors. “Battlefield tourism,” particularly of WWII, has experienced a resurgence in Europe and in the Pacific. 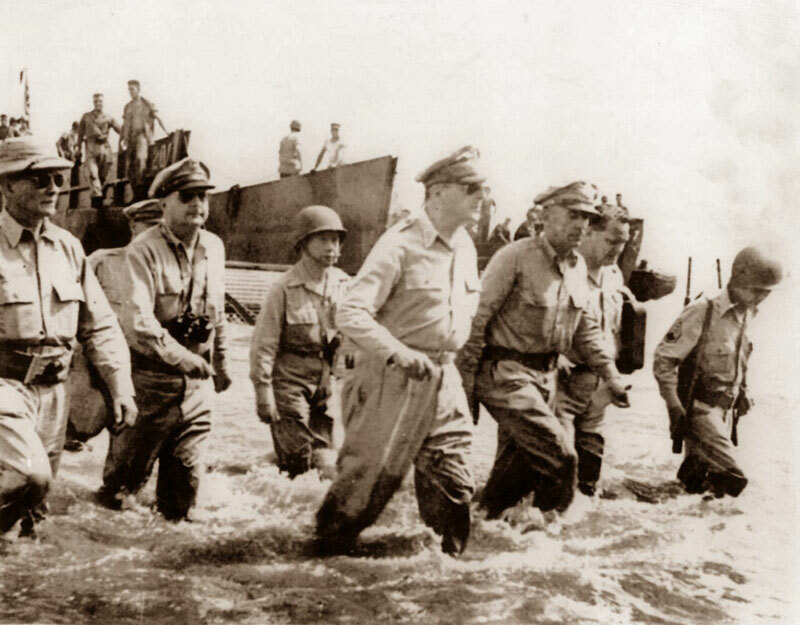 Incidentally, Oct. 20 of this year is the 75th anniversary of the Leyte Landing. It was on this date that started the chain of events that eventually led to an independent Republic of the Philippines – gained not by colonial subjects fighting against their colonial masters, but fighting alongside each other to liberate their land from foreign occupation. Isn’t this occasion, therefore, not worthy of a commemorative event that would signify that we value old friends who sacrificed their lives to help give us back our land (and who by the way continue to guarantee that it shall defend it from foreign aggressions) over new friends bearing gifts, but whose actuations suggest they want to take bits and pieces of it?